The last T20I match between India and New Zealand will be played at the Seddon Park in Hamilton on Sunday. Veteran Indian off-spinner Harbhajan Singh was all praises for young wicket-keeper batsman Rishabh Pant after the Delhi batsman played a match-winning knock in the second T20I against New Zealand at Auckland. 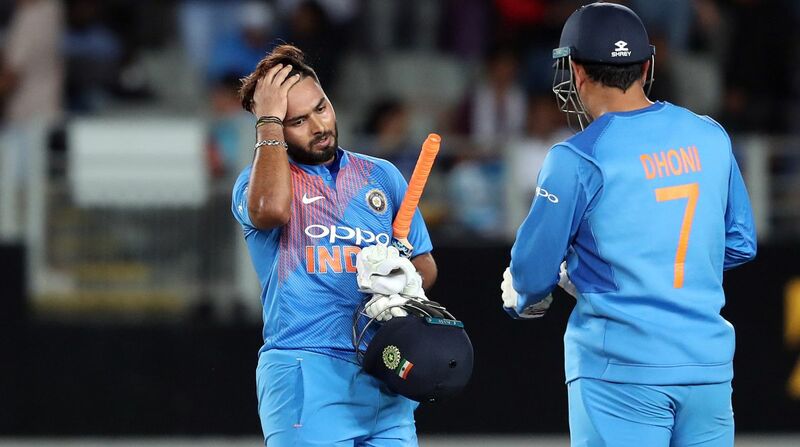 The 21-year-old keeper-batsman smashed an unbeaten 40 runs off 28 deliveries and guided India to a seven-wicket victory after all-rounder Krunal Pandya (3/28) and stand-in skipper Rohit Sharma (50) starred with the ball and bat respectively to level the series. After India’s win, Harbhajan said if Pant could keep on scoring like this in every match, then with every innings he is inching closer to the Team India’s World Cup squad. “Every opportunity will take (Rishabh) Pant closer to the World Cup squad, especially if he continues to keep scoring like this (Auckland T20I),” Harbhajan was quoted as saying by Aaj Tak. “I feel he has that x-factor which India will need in the (2019) World Cup. Pant is someone who can change games,” Harbhajan added. Harbhajan Singh also said that former Indian skipper Mahendra Singh Dhoni’s presence is important in Team India’s World Cup squad by citing the example of Auckland T20I. “Pant made full use of his opportunity and batting with Dhoni. When he hit a few casual shots, Dhoni walked up to him and explained what he needed to do. After that he played safer shots, down the ground and hit only the balls which were there to be hit,” Harbhajan said. The last and series decider T20I match between India and New Zealand will be played at the Seddon Park in Hamilton on Sunday.